Just as we were completing production of this issue, we were saddened to learn of the sudden death of Lecturer in Spanish Joan Friedman on June 14, due to a cerebral aneurysm. She was 67. The following is an excerpt from the message the President’s Office sent to the community. The complete text is available at http://bit.ly/joan_friedman. Friedman joined Swarthmore’s faculty in 1987. 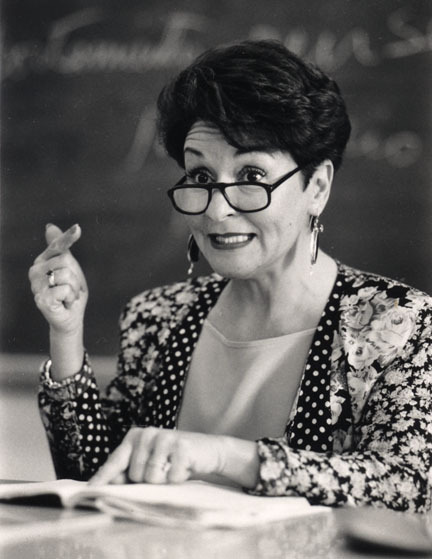 Up to and including the past academic year, she taught all levels of Spanish language courses. The College community has lost not only a devoted teacher and mentor to countless students but also one of its most vivacious, warm, and generous members. Friedman’s colleagues in the Department of Modern Languages and Literatures praised her brilliance, admired her elegance, and marveled at the woman who greeted each of them in their own language and who cared as much about the newest classical music performer as about the fate of the Phillies. I knew Joannie from meeting and spending time with her whenever she visited my dear friend, her mother, Marion Ladar. I was the go-between with Joannie in sending email messages and pictures of Joannie's beloved grandson. Joannie had a friendly, bubbly personality which made you feel good just by being in her presence. The world is going to miss Joan Friedman. Please, is there an email address that I can use to write a condolence note to her husband, Joel. I would appreciate it. Thank you. I'm so, so saddened to read this news. She was such an extraordinary teacher, and such a kind person.